This is more notes for my future self in case I ever have to get ntp working using a gps time source. The biggest lesson was to wait for a few minutes before giving up on ntp getting the GPS signal. This is for an Adafruit Ultimate GPS on my Raspberry Pi 2. GPIO 18 is connected to the PPS pin on the GPS. I'm connected to the GPS using a USB to serial adapter. KERNEL=="pps0", OWNER="root", GROUP="tty", MODE="0777", SYMLINK+="gpspps0"
I'm not a huge fan of stationary devices that require batteries to operate. 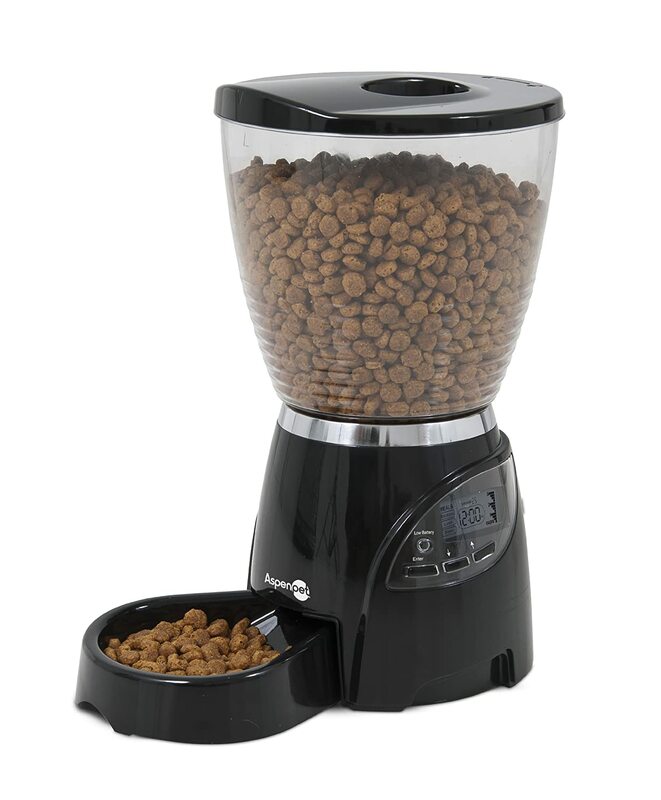 I've had 2 Aspen Le Bistro Portion-Control Automatic Pet Feeders since February of 2015 and they've performed very well. The only problem is that when the batteries get low, they don't feed the dogs and so far, the low battery light hadn't worked. The label on the bottom of the feeder clearly showed I needed 4.5V at 500ma to power the feeder. To anyone who works with electronics, these numbers are almost identical to USB power (5V at 500ma) which gave me the idea.